Former Navy secretary John F. Lehman and Congressman Randy Forbes offer a piece on American seapower for National Review. In 1987, the United States Navy numbered 594 ships. On, above, and below the ocean, the Navy reigned supreme, granting the commander-in-chief a flexible tool to secure the world’s economic maritime highways and project power ashore from the sea at the time and place of the nation’s choosing. More than a quarter century later, the Navy has shrunk to just 288 ships and sits poised to shrink still further in the coming years. The naval buildup of the 1980s was so large and so enduring that it allowed the U.S. Navy to thrive for the next three decades. But succeeding presidents and Congresses have failed to sustain the fleet that President Reagan built. As this fleet retires in the decade ahead, the Navy will begin experiencing serious shortfalls in the minimum number of attack submarines, amphibious ships, and large surface vessels required to execute its mission. 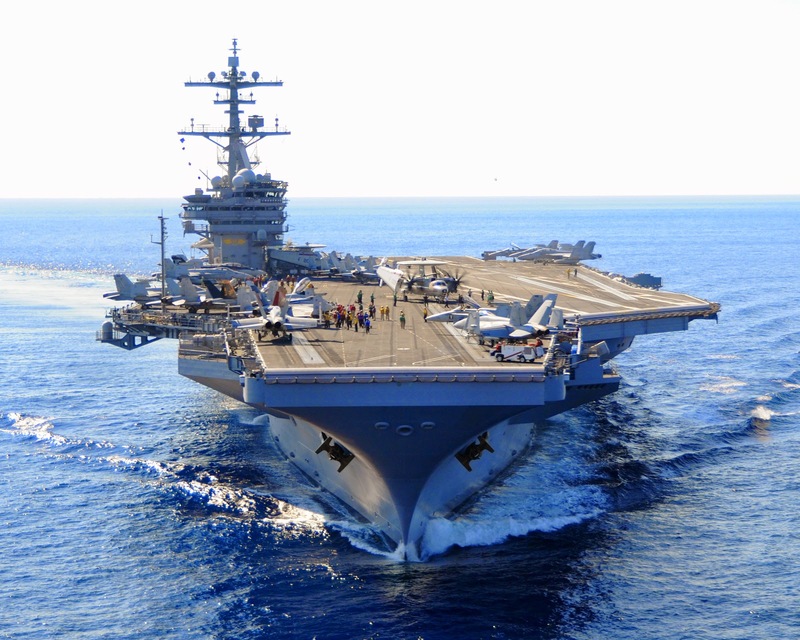 Note: The U.S. Navy photo above shows the aircraft carrier USS George Bush.